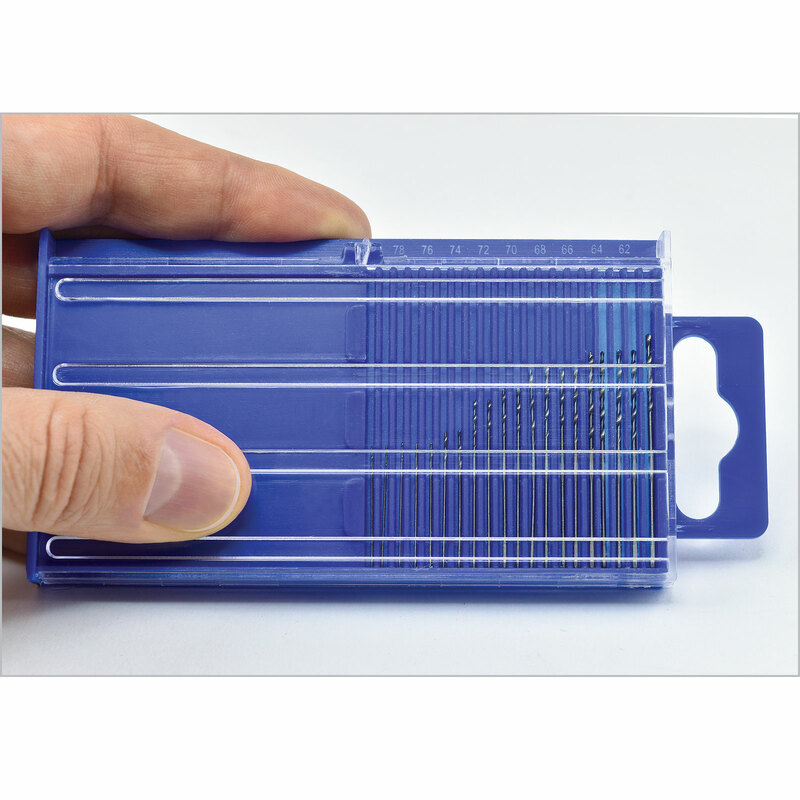 Micro drill bit set in a plastic index with sliding window. Keeps bits securely in place and dispenses only one at a time. Prevents mix-up and loss of bits even if dropped. To use, simply slide opening in cover to numbered slot of bit you need. Set includes 20 drill bits (#61 to #80).